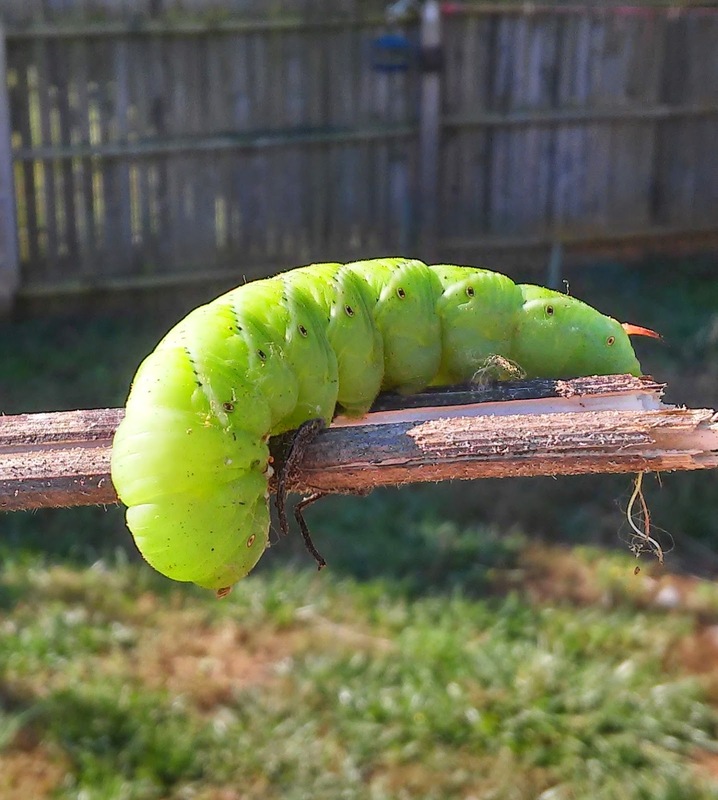 Jared Unzipped: Carolina Sphinx Moth. 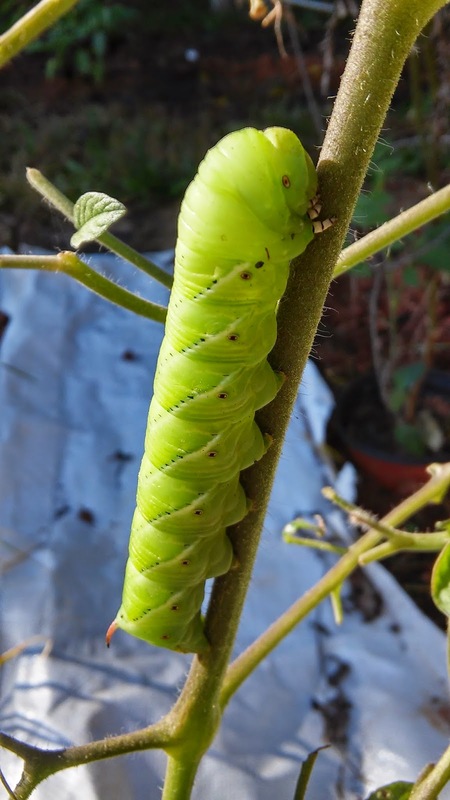 Upon looking out my bedroom window this morning, I was lucky enough to spot this insect on one of my last surviving tomato plants of the year. 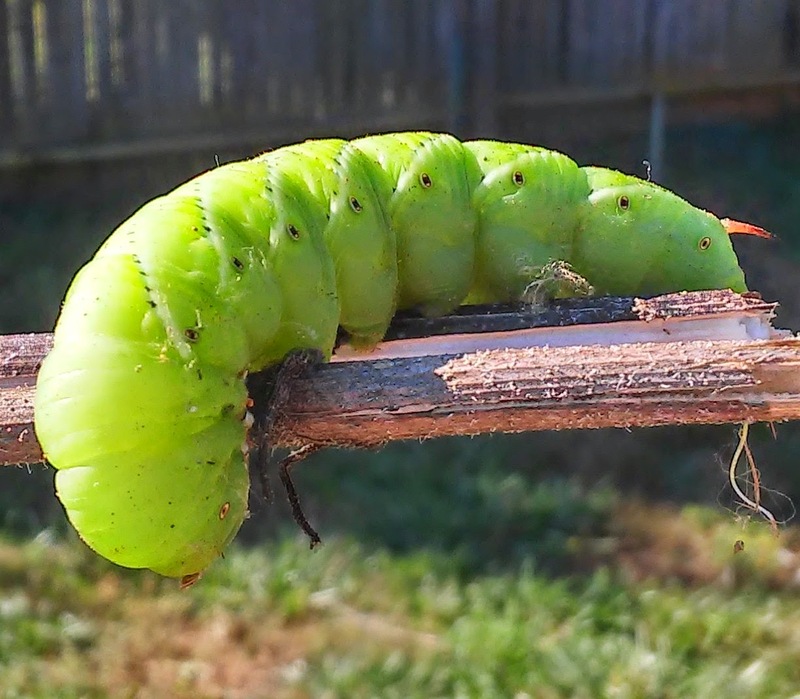 This is the larva (aka caterpillar) form of the Carolina Sphinx Moth (Manduca sexta). I've heard of this creature before, but never had the pleasure of seeing one up close. It really is as gigantic as it looks -- roughly four inches long and as big around as my thumb. 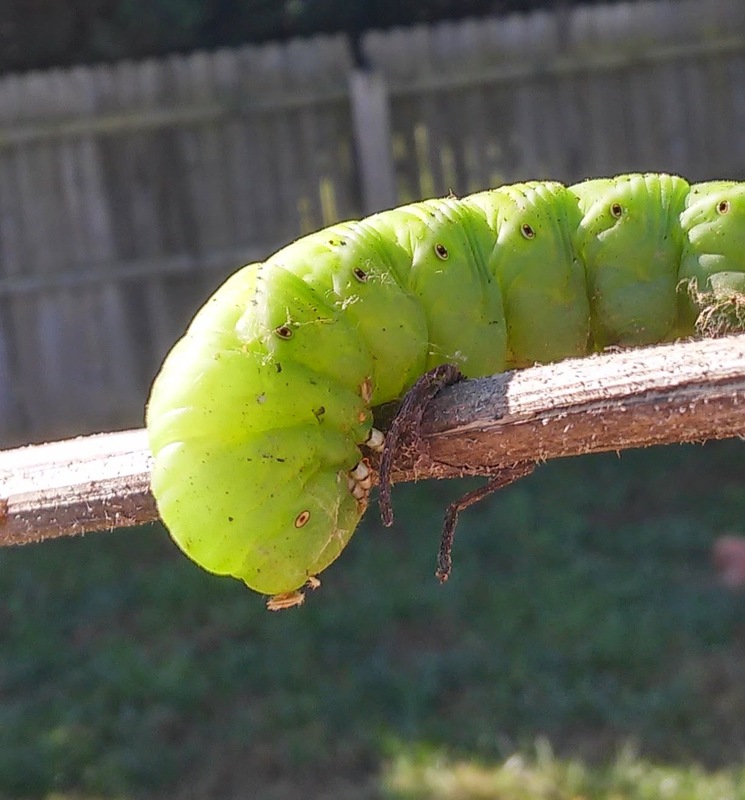 Let me be clear - this caterpillar is totally harmless. The horn on it's tail is purely a defense adaptation. You can not be poisoned by touching this larva - I did so myself and was surprised at how soft and smooth the larva was. While still in the larva form, many refer to it as the tobacco hookworm. 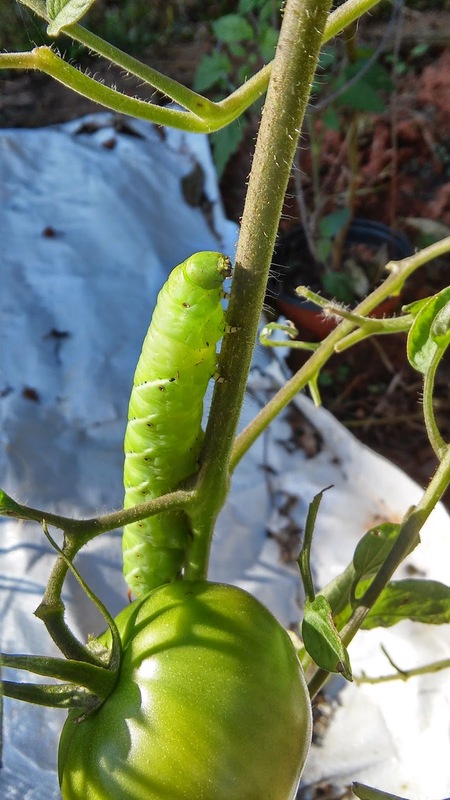 As the name suggests, it can be found feeding on tobacco plants, as well as tomatoes. It processes the nicotine found in tobacco as a form of defensive mechanism, making it one of the few beings in the animal kingdom that can do so. The nicotine is then released from its body, much like a skunk whom sprays its foul stench for defense. This process is called toxic halitosis. Thereby, predators are less likely to target the tobacco hookworm as prey. Chief among its typical predators are spiders -- especially Wolf Spiders. 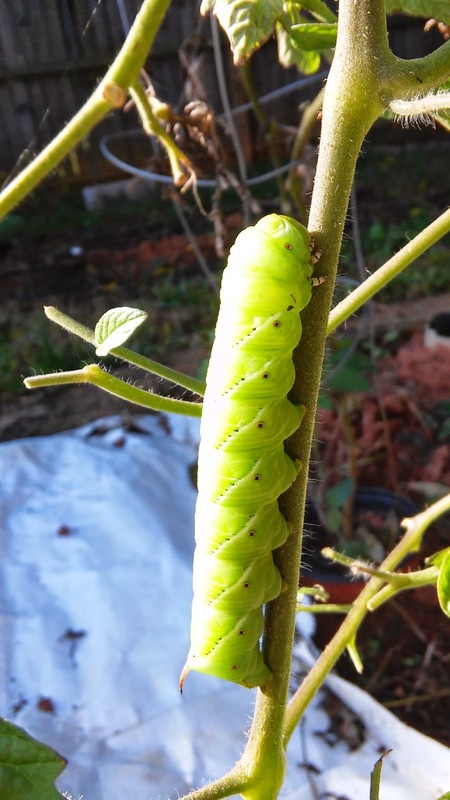 This larva will soon dig into the ground around the area of my tomato plants. 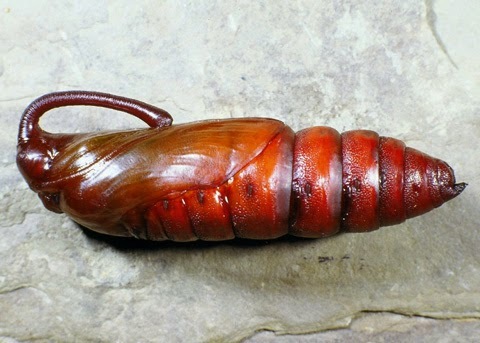 Once situated in the ground, it will morph into the pupae form and enter into diapause (a type of hibernation). In the spring, it will emerge as an adult and take part in breeding the next generation. 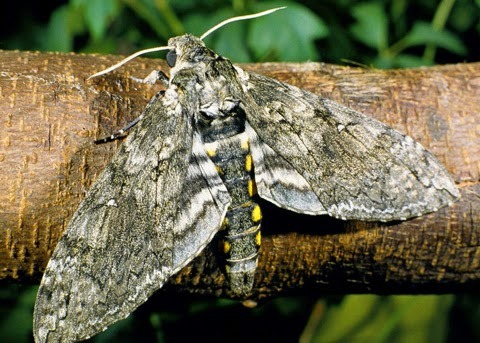 It really is a beautiful moth and one that I'll be happy to see around my home.